The daughter of legendary Glen Campbell comes to Samford University’s Wright Center this Friday, Nov. 3, at 7 p.m. for an evening of songs and remembering her father. 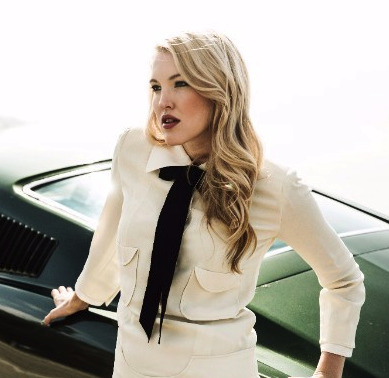 The youngest of eight children, Ashley Campbell toured with her father and wrote the song “Remembering” to describe her experience helping him during his decline with Alzheimer’s disease. In terms of musical style, she likes to call herself “a banjo picking girl.” With years of touring experience, she is an up and comer but seasoned multi-talented entertainer with a sound all of her own, playing instruments and songs with a mix of country, Indie and folk resonance. Additional events planned for the Tonight at the Wright series include a partnership with the Alabama Symphony Orchestra Red Diamond Super Pops concert series for their Christmas concert with Act of Congress on Dec. 1, “Hard Travelin’ with Woody” in January and Sozo Children’s Choir in April. Both Hard Travelin’ and Sozo Choir are free admission.